Since its foundation in 1986, The Lay Centre at Foyer Unitas has been welcoming lay students from various nationalities, Christian denominations and religious traditions. The student community is at the heart of The Lay Centre. You can meet our 2017-2018 student community below. 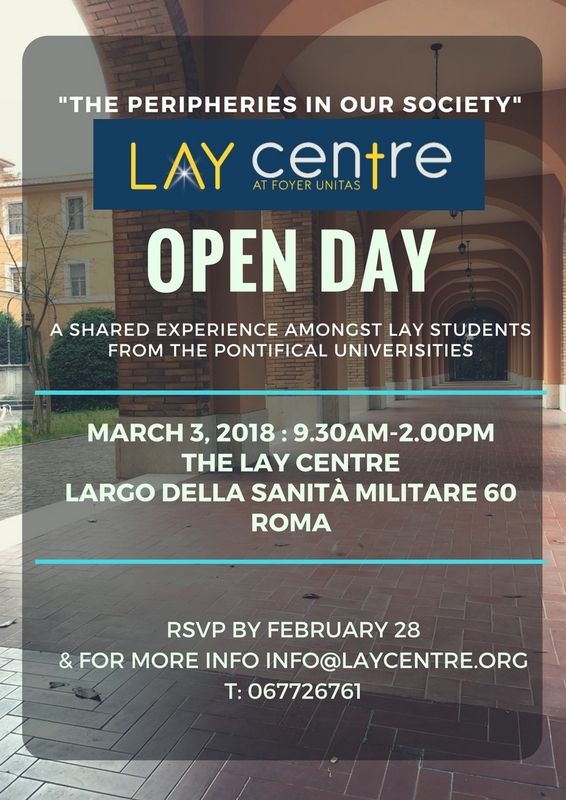 The Lay Centre’s spirit of service includes caring for each other in daily community life and volunteering to assist Rome’s poor and marginalized. In addition to this program of formation, residence at The Lay Centre includes full room and board. Staff is on hand to assist students with practical questions about life in Rome. The Lay Centre accepts applications throughout the year. However, students who are interested are encouraged to submit an application as soon as possible. Applications are reviewed on a first-come, first-served basis.